Recorded Music NZ is a non-profit trade association of record producers, distributors and recording artists who sell music in New Zealand. Membership of Recorded Music NZ is open to any recorded music rights owner operating in New Zealand, inclusive of major labels, independent labels and self-released artists. Recorded Music NZ has over 2000 rights holders. Nesian Mystik was a New Zealand hip-hop/R&B group which formed in 1999. The cultural backgrounds of its members united a remarkable diversity of Polynesia by bringing together Cook Island, Tongan, Samoan and Maori ancestry. As well as producing a record number of Top 10 New Zealand singles, Nesian Mystik supported international acts such as Robbie Williams, Missy Elliott, Shaggy and The Black Eyed Peas. The group officially disbanded in 2011 after a successful music career that included four commercially successful albums and numerous New Zealand Music Award nominations. Irish pop vocal group Westlife has released ten studio albums, two extended plays, one live album, three box sets, thirty-three singles, fifteen promotional singles, nine compilation albums and forty-five music videos. Formed on 3 July 1998, the group was made up of singers Nicky Byrne, Kian Egan, Mark Feehily, Shane Filan, and Brian McFadden who quit the band on 9 March 2004. The band was signed under BMG, S Records, Arista Records, Sony BMG, Syco Music, Sony Music Entertainment and RCA Records from 1998-2012 and currently on Universal Music Group and Virgin EMI Records. The last four members remained active until their last live concert performance in the Europe's third largest stadium Croke Park on 23 June 2012 and have reunited on 3 October 2018 for new music and tour. Based on the British Phonographic Industry certifications, the group have sold 20.2 million records and videos in the United Kingdom alone across their 14-year career–6.8 million singles, 11.9 million albums and 1.5 million videos. Their biggest selling album is their first Greatest hits compilation, followed by Coast to Coast, with six of their albums selling one million copies or more. Their biggest selling video is "Where Dreams Come True", which has sold 240,000 copies to date. The band was viewed with total of over a billion views in YouTube counting only the ones uploaded from their official site alone, were streamed more than 300 million times, and more than 550 million times in Spotify. "Out of Reach" is a song by English singer Gabrielle. It was written by Gabrielle and frequent collaborator Jonathan Shorten for the soundtrack of Sharon Maguire's 2001 romantic comedy fim Bridget Jones's Diary. Released as the soundtrack's lead single in 2001. 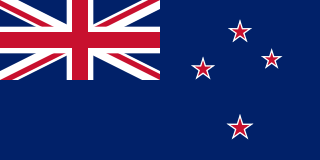 It was most successful in New Zealand, where it reached number two for a week in September 2001. Tiki Taane is a New Zealand-based musician, experimentalist, musical activist, producer, and live engineer. He was a member of leading New Zealand band Salmonella Dub but left after eleven years on 1 January 2007 to pursue a solo career. His debut album, Past, Present, Future, was released on 22 October 2007 in New Zealand and has since gone two times platinum, achieving a number one single, "Always On My Mind", which became the first digital single to reach platinum sales and also holds the record by staying in the NZ Top 40 Charts for 55 weeks. Taane is also the exclusive live sound engineer for New Zealand drum and bass act Shapeshifter since their first gig in 1999. Taane has also produced multi platinum albums for bands such as Six60, Salmonella Dub and Tiki Taane. "Are You In?" is the fourth single from Incubus fourth full-length album Morning View. The song itself has elements of different styles in it, including jazz and swing music. The liner notes for the album contain no lyrics to this song, most likely because there are very few lyrics. American singer Lady Gaga has released five studio albums, one film soundtrack, three compilation albums, three video albums, four EPs, twenty-nine singles, and nine promotional singles. Gaga made her debut in August 2008 with the studio album The Fame, which peaked at number two in the United States, where it was subsequently certified triple Platinum, while topping the charts in Austria, Canada, Germany, Switzerland, and the United Kingdom. Its first two singles, "Just Dance" and "Poker Face", were both successful worldwide, reaching number one in Australia, Canada, the United Kingdom, and the United States. The album spawned three more singles: "Eh, Eh ", "LoveGame" and "Paparazzi". The latter reached the top ten in many countries worldwide, and number one in Germany. Past, Present, Future is New Zealand based musician Tiki Taane's platinum selling debut solo album. It features a fusion of Taane’s trademark bass-heavy production with traditional Māori instrumentation, a style which Taane describes as “punk dub meets tangatawhenua”. "Always On My Mind" is a single by the New Zealand singer Tiki Taane. It was released as the first single from Taane's first solo album, Past, Present, Future. It reached number one on the New Zealand Singles Chart. Six60 is a five-piece New Zealand band that formed in 2008. Their self-titled debut album was released on 10 October 2011 on their own label Massive Entertainment. The album was produced and mixed by Tiki Taane and debuted at number one in the New Zealand charts and was certified gold within its first week of release Their first two singles "Rise Up 2.0" and "Don't Forget Your Roots" reached number one and number two respectively on the RIANZ singles chart and were both certified double and triple platinum. In 2018 the band won five Vodafone New Zealand Music Awards and were the most streamed artist by New Zealanders on Spotify. On 23 February 2019, SIX60 became the first New Zealand band to play a sold out concert at the iconic Western Springs Stadium, to a crowd of 50,000 fans. This article includes the singles discography of Prince. See also The New Power Generation, Madhouse and 94 East discographies for singles released under these monikers. See Prince albums discography for his albums. 1 2 "ABOUT THE CHART". NZ Music Charts. Retrieved 11 June 2013. ↑ "Online streaming to feature in NZ music charts". One News . Television New Zealand. 24 June 2014. Retrieved 24 June 2014. ↑ Jenkin, Lydia (6 November 2014). "Streamed music hits charts". The New Zealand Herald . Retrieved 6 November 2014. ↑ Scapolo 2007, p. 3. ↑ "Chart Facts". RIANZ. Archived from the original on 11 July 2010. ↑ "Charts - RadioScope New Zealand". radioscope.net.nz. Archived from the original on May 26, 2009. Retrieved 28 August 2011. ↑ "NZ Singles". The Official New Zealand Music Chart. RIANZ. Archived from the original on June 11, 2012. Retrieved 11 November 2011. ↑ "NZ Albums". The Official New Zealand Music Chart. RIANZ. Retrieved 11 November 2011. ↑ "Ruby anniversary for NZ Top 40 charts - The Facts". NewstalkZB. NZME. Retrieved 19 July 2015. ↑ McAllen, Jess (28 May 2015). "40 years of chart-topping music". Stuff. Fairfax. Retrieved 19 July 2015. ↑ "On Demand Streams Added To New Zealand Top 40 Album Charts". Scoop. Scoop. Retrieved 15 October 2016.